Sinus problems are common in young babies, since their systems are so sensitive to the new world that surrounds them. A lingering cold, allergies, or persistent irritation can all add up to an upper respiratory infection (or, simply, a sinus infection) for your little tot. Although antibiotics are commonly used to treat similar infections in grown-ups, they are not necessarily the best course of action for children. Fortunately, there are many things you can do at home to ease their symptoms and help support them as their tiny bodies fight off the infection. Here in this article, we’ll list the most effective home remedies for sinus infections in babies and small children. This includes things to do to relieve their suffering as well as supplements and practices to help clear the source of the infection. Of course, if your baby’s symptoms persist longer than two weeks or are accompanied by a fever, you’ll want to consult your health care provider as well. If your little one is breastfeeding and not feeling well, they are probably already asking for additional nursing sessions. If not, encourage your babe to nurse frequently. Nursing often will ensure that they stay hydrated as their body fights infection. Having a stuffy nose might make it difficult for baby to breastfeed as efficiently as he is used to, so frequent sessions will give him the opportunity to get the nutrients he needs during his illness. 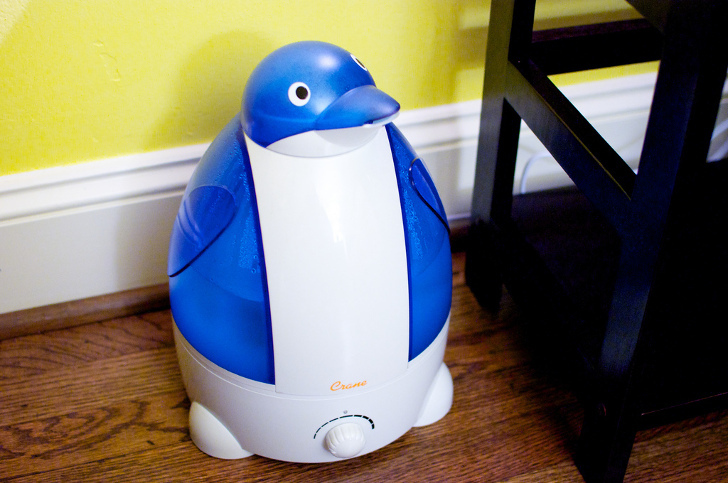 Running a humidifier in baby’s bedroom is a necessity when sinus problems arise. By keeping the air just slightly humid, your precious bundle will have less irritation. A humidifier helps baby breathe easier, making it possible for her to get the rest she needs to fight off infection. 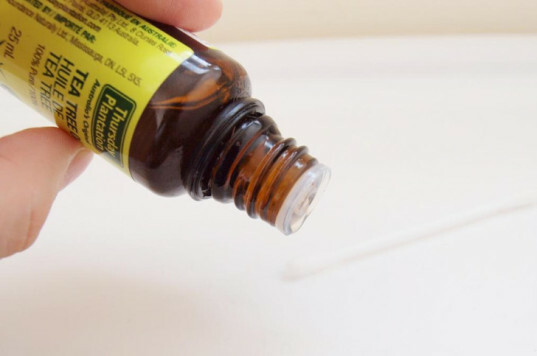 Use a saline nasal spray several times a day to irrigate nostrils and thin out mucus. Spray each nostril 1-2 times while baby is sitting upright. 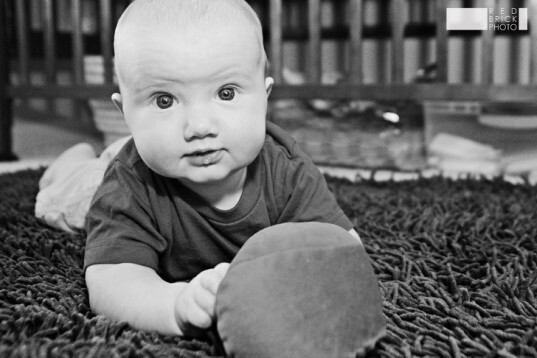 Understandably, babies tend to protest foreign objects in their little noses. It’s worth a bit of a fight to soften the mucus and make it easier to remove. 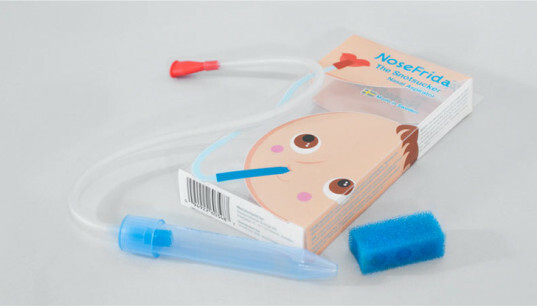 Instead of a traditional bulb syringe, go with the more efficient NoseFrida to clear out baby’s nostrils. Many babies will tolerate the NoseFrida if used while they are lying down. Just work quickly! Sometimes, the worst symptom of a sinus infection is stubborn congestion. Steam helps soothe irritated sinus passages while lubricating and softening mucus. Gather up some toys or books and sit on the bathroom floor with your little one while the shower runs on the hottest setting. 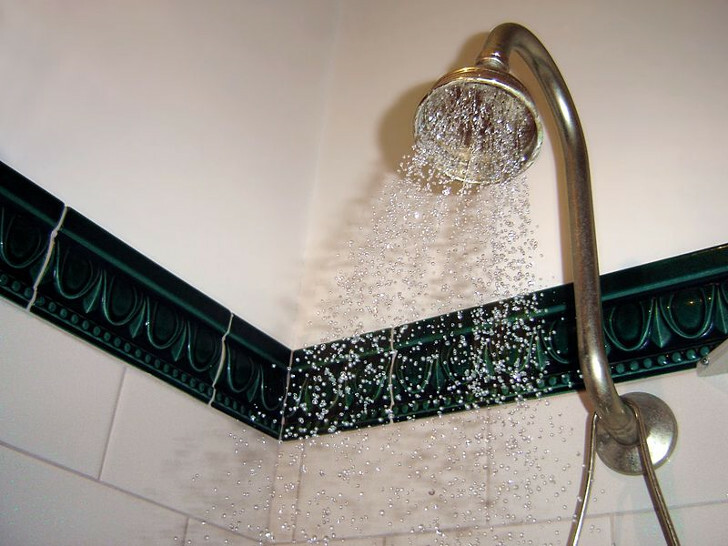 Spending just 5 or 10 minutes in a steamy bathroom will help your little one feel better immediately. For stubborn congestion, add 2-3 drops of eucalyptus essential oil to the tub while the shower is running, so that it adds to the vapors. Homeopathic medicine offers gentle relief from cold symptoms without harsh chemicals and preservatives. Choose a major brand such as Hyland’s that offers infant-friendly cold tablets that dissolve almost immediately in baby’s mouth. Treatments like these don’t attack the source of the infection, but they can offer your little babe some comfort while you get to the bottom of the problem. 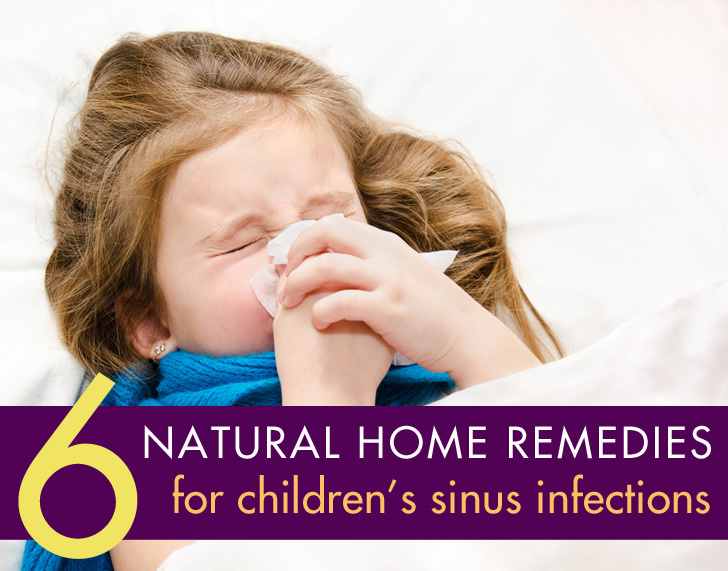 If your little one’s sinus infection is really stubborn and interfering with his/her ability to rest, you might have to try a more aggressive treatment. Mix 1 drop of tea tree essential oil with 1 tsp of a neutral carrier oil (such as coconut oil, grapeseed, or sweet almond oil). Using a cotton swab, gently dab the mixture just on the outside and bottom of baby’s nostrils. Start with two times a day, ideally following a steam bath session. Tea tree oil’s natural antibacterial and antifungal properties will help fight the infection as your baby breathes in tiny doses.